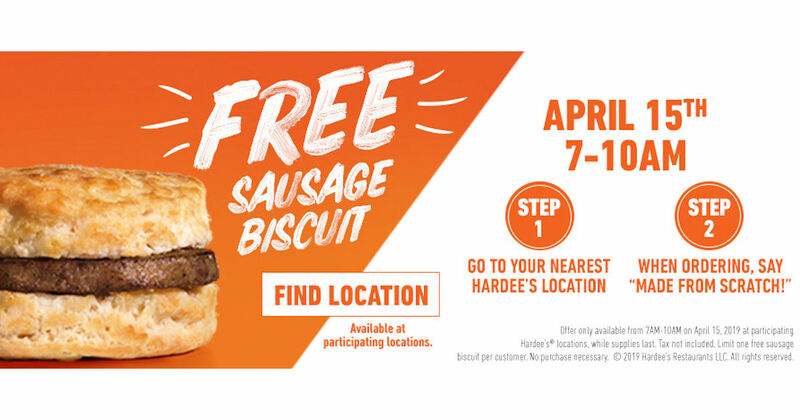 Get a free sausage biscuit at Hardee's! Stop by Hardee’s for one free Sausage Biscuit and no purchase or coupon is required. Just mention 'Made From Scracth' and the cashier will give it to you for free! Valid April 15th from 7-10am at participating locations.